The Police Services Act gives the OIPRD the power to conduct systemic reviews. A systemic review goes beyond the immediate issues raised by a given complaint and looks at the underlying causes to determine whether an organization’s practices comply with its underlying legal and policy framework and, more importantly, whether that framework can be improved to prevent such issues from arising in the future. A systemic review is generally not about individual officers. Its purpose is not to assign individual fault, but to determine whether systemic failings have occurred, to make recommendations to address those failings and to help restore and enhance public confidence in police and policing. Police in Ontario conduct too many unjustified strip searches that intrude on the privacy rights of those affected and negatively impact criminal court cases, according to the latest systemic review report released today by the Office of the Independent Police Review Director (OIPRD). The report finds police procedures regarding strip searches are inconsistent across the province and often inadequate as to what constitutes a strip search and when and how strip searches should be conducted, authorized or supervised. The report also finds significant deficiencies in strip search data collection, documentation and officer training. In 2001, in R. v. Golden, a landmark decision on the constitutionality of strip search practices, the Supreme Court of Canada defined what amounts to a strip search and when and how they can lawfully be done. The Ministry of Community Safety and Correctional Services should update the Policing Standards Manual, and most particularly the Search of Persons Guideline to reflect existing jurisprudence, including but not limited to, the decision of the Supreme Court of Canada in R. v. Golden. The Search of Persons Guideline should provide much greater assistance in enabling police service boards and police services to develop compatible policies, procedures and practices respecting searches across the province. This assistance should include a clear definition of a strip search (drawn from the Golden decision), clear demarcation between strip searches and frisk, pat-down or field searches, on the lower end of the spectrum of searches, and body cavity searches at the higher end of the spectrum. It should also include greater specificity around whether and how strip searches are conducted, authorized or supervised. Its content should be informed by the recommendations in this report. All police services in Ontario should ensure that they keep accurate statistics of the number of persons they arrest or detain, the number of persons strip searched (based on a uniform interpretation of what a strip search entails (as set out in this report’s procedures template, and in accordance with binding jurisprudence) and the justifications provided for such strip searches. Every police service in Ontario should incorporate training on strip searches into their annual or biennial training. The training should include a review of all aspects of R. v. Golden and other relevant jurisprudence. The report also recommends that police services keep race-related statistics on strip searches to enable an evidence-based evaluation of the role that race plays in decisions to conduct strip searches. 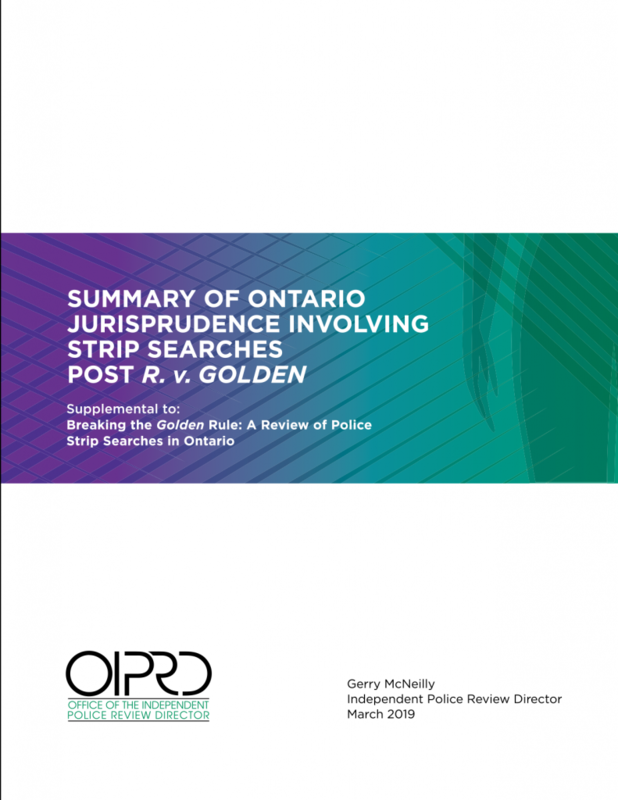 The OIPRD also released a report supplement, Summary of Ontario Jurisprudence Involving Strip Searches Post R. v. Golden, containing summaries of 89 cases involving strip searches in which courts found violations of the Canadian Charter of Rights and Freedoms. 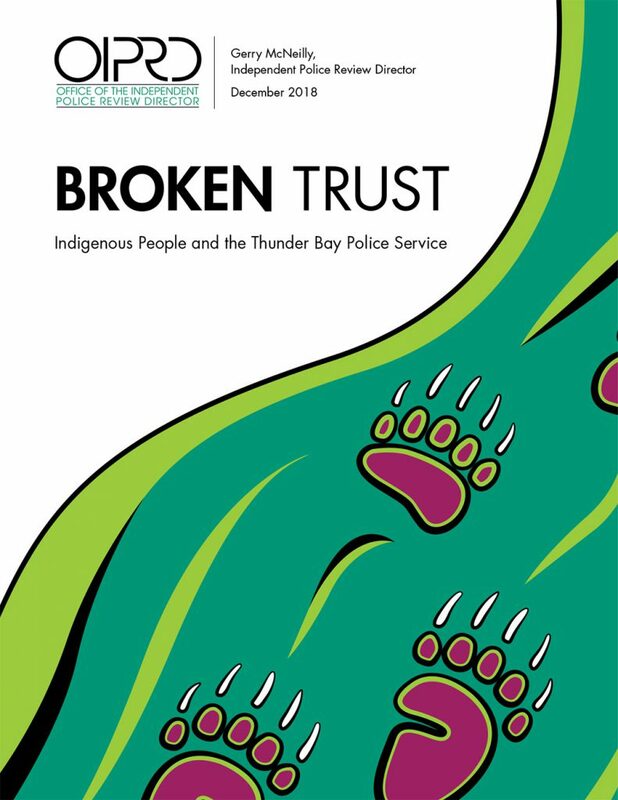 The Office of the Independent Police Review Director (OIPRD) released its systemic review report on the relationship between the Thunder Bay Police Service (TBPS) and Indigenous communities, finding significant deficiencies in sudden death investigations involving Indigenous people that are due, in part, to racial stereotyping. The report also addresses systemic racism within the service more generally, and finds systemic racism exists at an institutional level. The inadequacy of the TBPS sudden death investigations the OIPRD reviewed was so problematic that at least nine of the cases should be reinvestigated. A multi-discipline team should be established to reinvestigate, at a minimum, the deaths of the nine Indigenous people identified. The team should include representatives from TBPS, a First Nations police service, outside police service(s), the Office of the Chief Coroner and the Office of the Chief Forensic Pathologist. The team should also establish a protocol for determining what additional death investigations should be reinvestigated. TBPS should initiate an external peer-review process for sudden death and homicide investigations for at least the next three years. TBPS should focus proactively on actions to eliminate systemic racism, including removing systemic barriers and the root causes of racial inequities in the service. TBPS leadership should publicly and formally acknowledge that racism exists at all levels within the police service and that it will not tolerate racist views or actions. TBPS leadership should engage with Indigenous communities on the forum for and content of these acknowledgements. 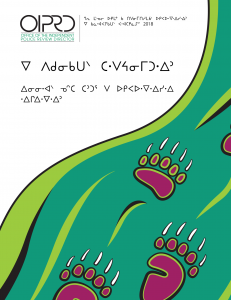 This would be an important step in TBPS advancing reconciliation with Indigenous people. The Thunder Bay Police Services Board should publicly and formally acknowledge racism exists within TBPS and take a leadership role in repairing the relationship between TBPS and Indigenous communities. TBPS leadership should create a permanent advisory group involving the police chief and Indigenous leadership. The Office of the Chief Coroner, Ontario’s Chief Forensic Pathologist, the Regional Coroner and TBPS should implement the Thunder Bay Death Investigations Framework on a priority basis. The framework clarifies roles and responsibilities, improves communication and increases information sharing to ensure objective, high quality death investigations. 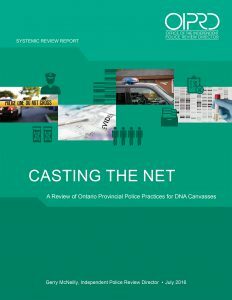 On July 12, 2016, the Independent Police Review Director released the systemic review report Casting The Net: A Review of Ontario Provincial Police Practices for DNA Canvasses. The Director called on the Ontario Provincial Police (OPP) and other police services in Ontario to adopt a policy to govern how DNA canvasses are conducted. The report provided a model policy for guidance. The Director was satisfied that the OPP investigation was not motivated by racial prejudice, but the nature and scope of the DNA canvass was overly broad and certainly had an impact on the migrant workers’ sense of vulnerability, lack of security and fairness. The report provided seven recommendations to promote effective, bias-free policing and enhance police-community relations, particularly with those who are vulnerable. 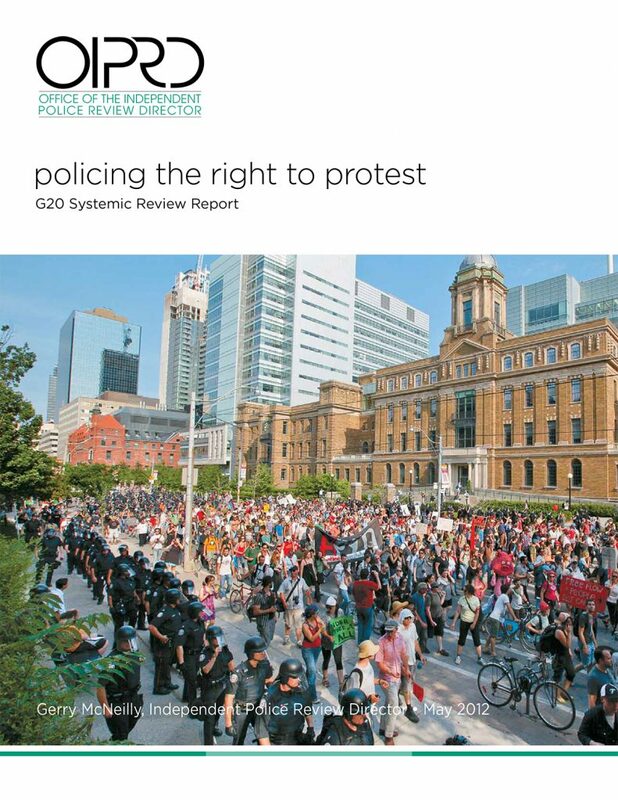 On May 16, 2012, the Independent Police Review Director released the G20 systemic review report, Policing the Right to Protest. The report provided an in-depth analysis of issues surrounding public complaints against police during the G20 summit in Toronto in June 2010. The 300-page report examined the planning and execution of the security operation at the G20, incidents where large-scale protests and interactions or clashes with police occurred, issues regarding stops and searches and the planning and operation of the Prisoner Processing Centre. The Director found that while the vast majority of police officers carried out their duties in a professional manner, some police officers ordered or made arrests without reasonable grounds, used excessive force, overstepped their authority when they stopped and searched people without legal justification, and failed to take adequate steps to address problems at the Prisoner Processing Centre. The report provided 42 recommendations to improve the interaction between the public and the police during future protests and to strengthen confidence and trust in police and policing. 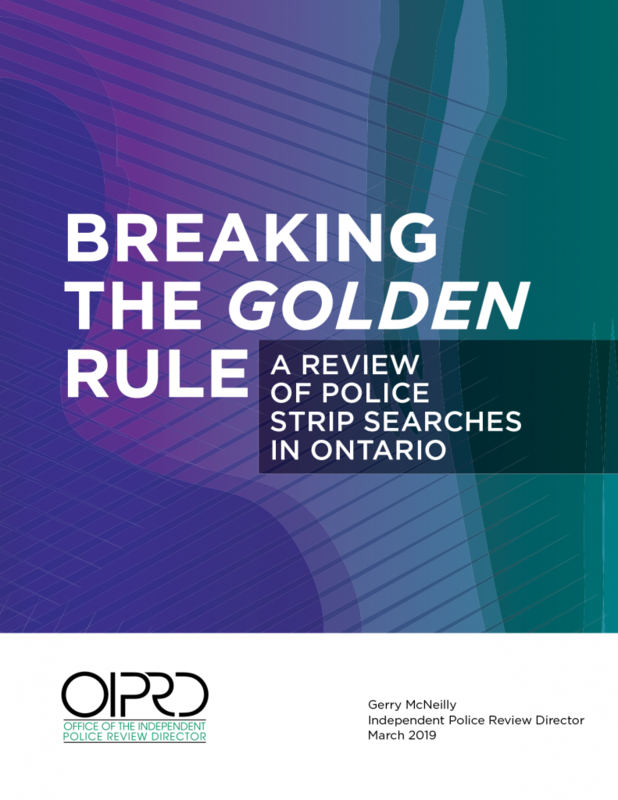 The OIPRD is conducting a systemic review of Ontario police services’ policies and practices for conducting strip searches of people arrested or otherwise detained. The OIPRD is conducting a systemic review of Ontario police services’ use of force, lethal use of force, de-escalation techniques and approaches in dealing with people in crisis. 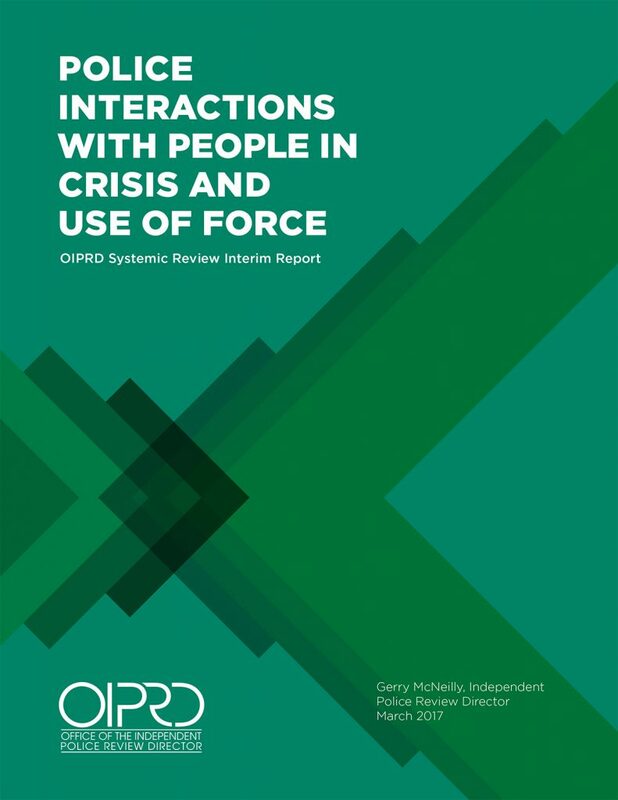 On March 31, 2017, the OIPRD released an interim systemic review report on police interactions with people in crisis and use of force. As a result of the interim report, the OIPRD is auditing the police services involved in the deaths that generated the coroner’s inquests examined in the report and evaluating the extent to which recommendations have been adopted and implemented by these police services. The audit will also analyze what is working well and what requires improvement. The OIPRD’s systemic review will work in conjunction with an advisory panel of experts from the justice, mental health and academic fields to identify best practices and any additional recommendations to be made. Ultimately, the OIPRD will issue a final report intended to help ensure better outcomes in police interactions with people in crisis.